The Marine & Offshore Syncro ASM is a versatile range of open protocol fire alarm control panels compatible with existing Syncro fire alarm panel technology. 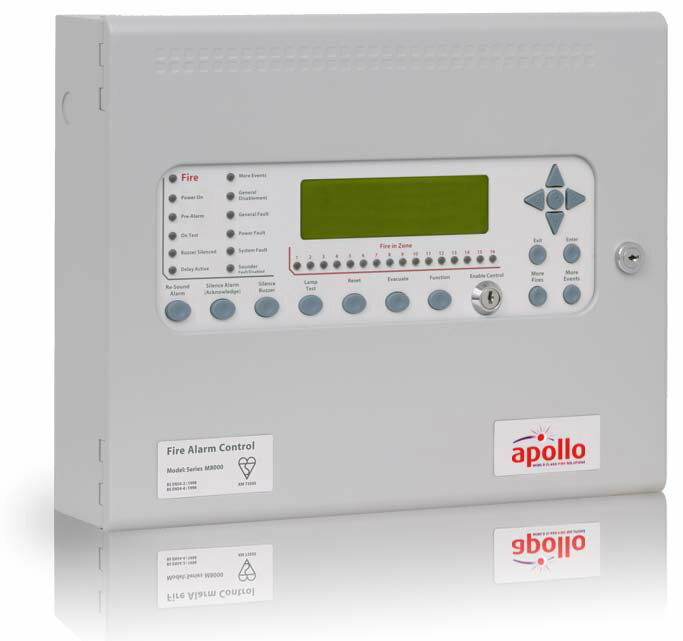 Hosting up to 126 Apollo fire detection devices and modules per loop, Syncro ASM uses leading edge microprocessor based electronics to provide a flexible control system with high reliability and integrity. Suitable for all small to medium sized vessels, Syncro ASM control panels can be expanded and networked to become part of much larger systems if the need arises, therefore providing a future proof solution for any vessel. With its large graphical display and ergonomic button and indicator layout, the Syncro ASM control panel is simple and straightforward to understand for installers, commissioning engineers and end users alike.